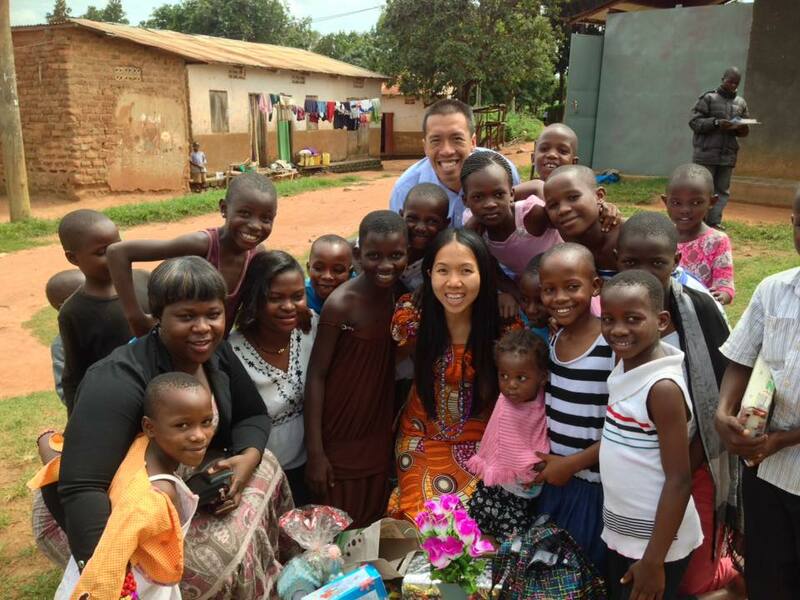 In a few hours, Wai Jia and I will be hopping on a plane leaving Uganda. I haven’t blog much about our experience in Africa. The past year was a year of laboring for the Lord and experiencing the faithfulness of His goodness. I am leaving with ever more desire to serve Him and seek His Kingdom and His righteousness. I am leaving realizing that the Word of God is a two edged sword and I still need training on how to use it effectively and not cut myself in the process. For the past year, we’ve been teaching at the Bible School and work alongside with the local church in various ministries (sewing and beading and training teachers to de-worm kids). We have built many friendships and enjoyed their fellowship. One of the things we will miss the most is the worship in Ugandan church. It is simply vibrant. Teaching at the Bible School really shaped me to see the need to know the Bible and be able to explain doctrines clearly and concise. Last night, Wai Jia and I discussed with each other about some of the changes we expect when we go back to Singapore. We are using materials designed to help missionaries return back home. One of the items we discussed is the change in our spirituality while in Uganda. I can see Wai Jia has grown a lot in understanding the Bible. As for myself, I hope so as well. Though I feel like I am still illeterate when it comes to knowing Scriptures. As we are leaving our friends behind, we often wonder what will happen to them. Will they be ok? One of the pastors we worked alongside went into the hospital a few days ago with a major operation. What about him? What about our ministries and the projects that we were part of? The Sewing and Beading ministry. Will this continue to grow? Will it transform lives? In all things, they are not in my control but in His Soveriegn care. We are learning to trust. We are simply given the privilege to be His Workmen in Uganda in this brief period. If God is willing, He will bring us back. As for now, we are heading back to Singapore and serve Him there. As for me, Singapore will be a period of spiritual training as I continue to study my M Div online. What’s more important though, is not the grades or a few letters behind my name but rather a strong and living relationship with God. That’s the key and source of life when we go back on the field. When? We don’t know. We simply trust and wait. Photo with children and friends on our last day at Cornerstone Entebbe, the church where we served and worshipped in Uganda. hi Cliff,I am so glad you obeyed God’s call to serve in Uganda. Thanking Him with for all the experiences, you had,,and the huge Blessing you both were to your people. I can see you will miss these new brothers and sisters,as they miss you…..!. Wishing you a good re- entry into Singapore and an open heart to Christ’s leading in the future. You are very much loved. Thank you :). We do wish we stay longer if the Lord allowed us. But where He leads us, we shall follow :).